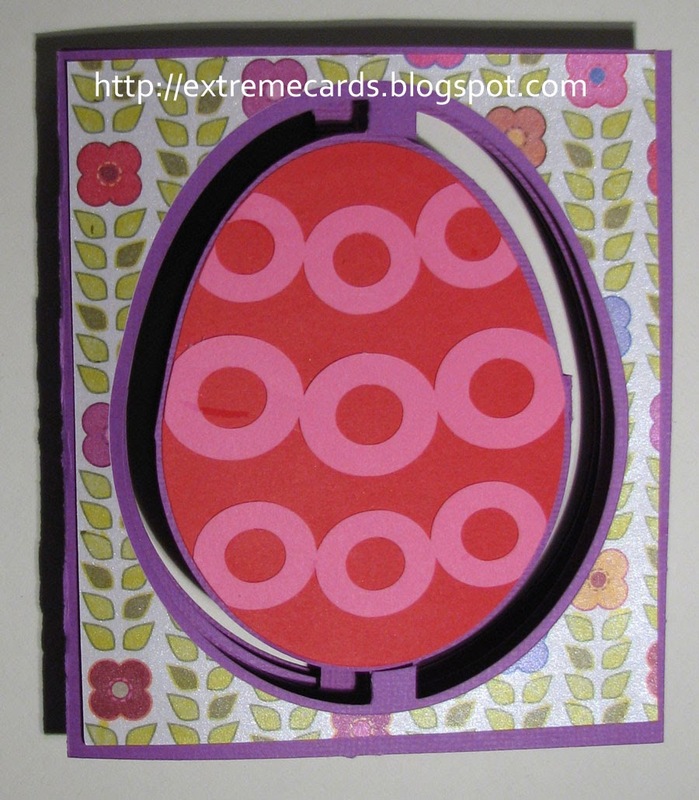 Inspired by the Sizzix 3d circle accordion flip card, for this Easter egg accordion flip pop up card I created a similar design with an egg-shaped cut-out. Download the files: Silhouette Studio, PDF, SVG . You may want to preview this assembly video (for a slightly different card) for help gluing together the panels. The assembly part starts about 7 minutes into the video. (The beginning is mostly die cutting and gluing decorations on the card). I suggest changing the order, however, and gluing the decorative eggs on after tabbing together the egg-shaped accordions, so the glue tabs are hidden under the eggs. Cut out panels, as many as you like (I have 4). Watch your paper grain! I cut mine sideways and got cracks on the panel creases (oops!). 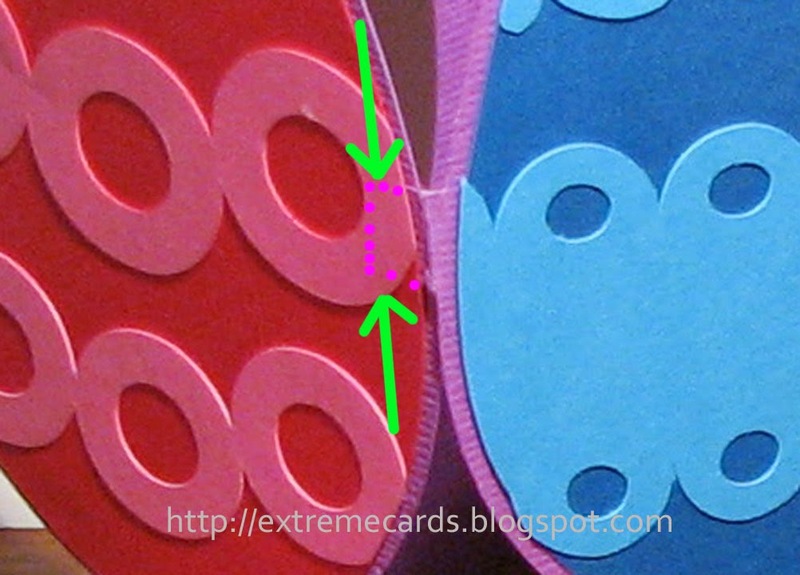 You want the grain of your card running vertically, parallel to the crease on the long tab of the panel. Glue together the panels, using the long side tabs. You will have an extra one at the end of the card that you won't use. Cut it off. Photo below shows the tabbed together panels. Mountain and valley fold the panels to form a zigzag. Pre-crease the small vertical creases at the tops and bottoms of the eggs. 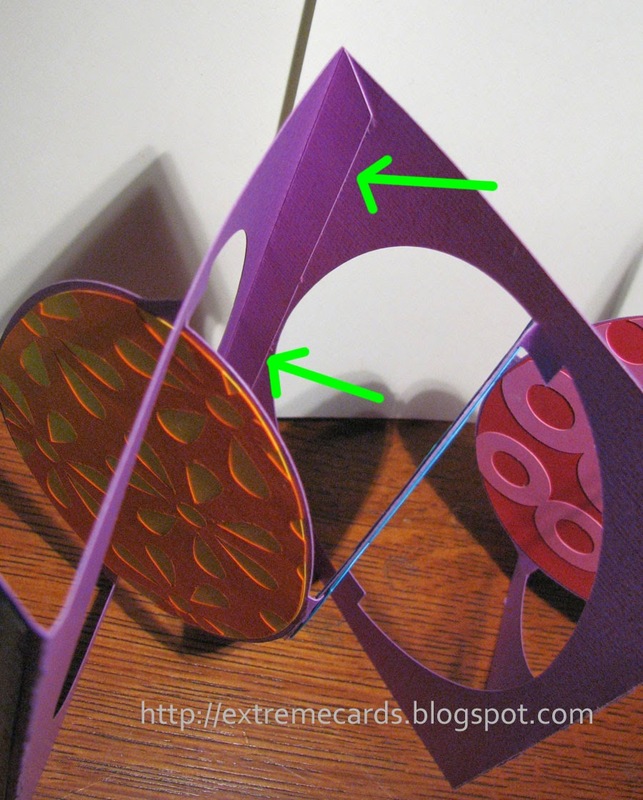 The eggs need to zigzag in folds opposite of the panel folds. See that the red and blue egg join comes forward while the card goes backwards? The blue and orange tab join is behind the panel fold (which comes forward) and the orange and green join is, then, to the front (as the panel folds to the back). Adhere the little side tabs on the eggs. In the photo below you are seeing the finished card. Glue the tabs before adding the decorative eggs, so they are hidden underneath. There will be an extra tab at one end, which you don't need. Cut it off. 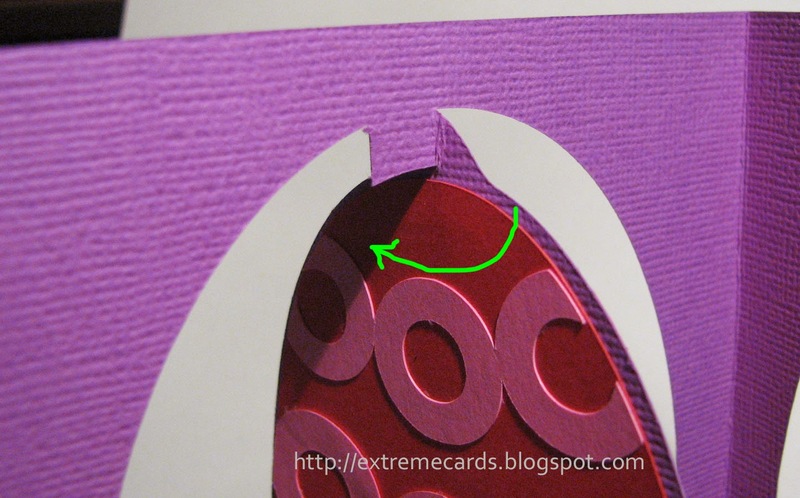 Pop the eggs creases into a zigzag that is opposite of the card zigzag. Close the card. The top and bottom tabs will collapse on the creases as the eggs turn, allowing the accordions to fold flat. 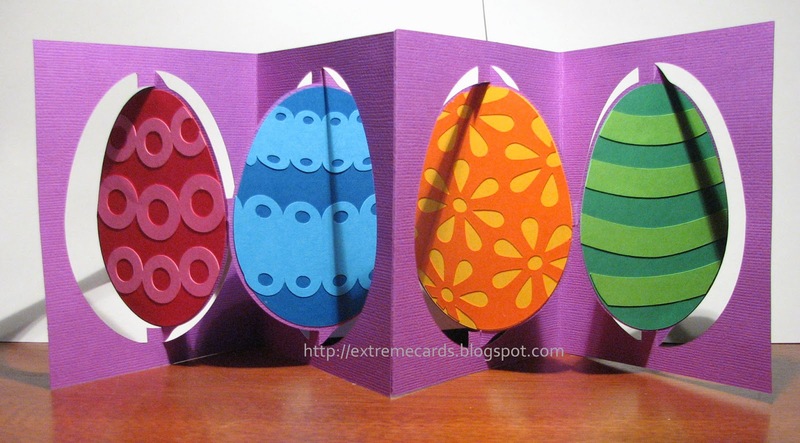 Open the card and add decorative eggs and panel liners.